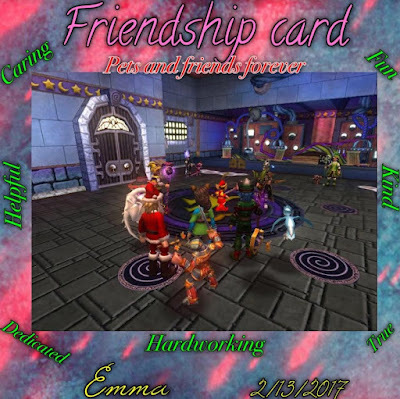 In Wizard101 most of my friends I've met in the hatchery. Like the ones I'm with in this photo. 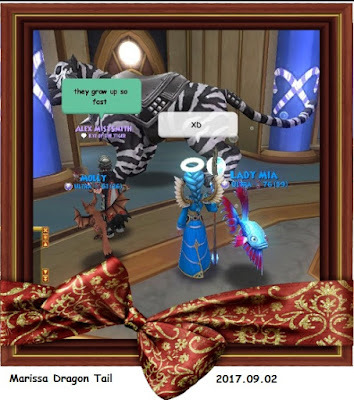 My friends and I love to make pets and get awesome talents. I'm the one with the cat ears and in this photo my friends were about to hatch. My friends are very kind and fun to hang out with. We love to make new pets and help one another out. My friend in the Sandra suit was having a hard time making a pet so my other friend in balance hat was willing to help him out. These friends will help me when I'm down and make the game more enjoyable. 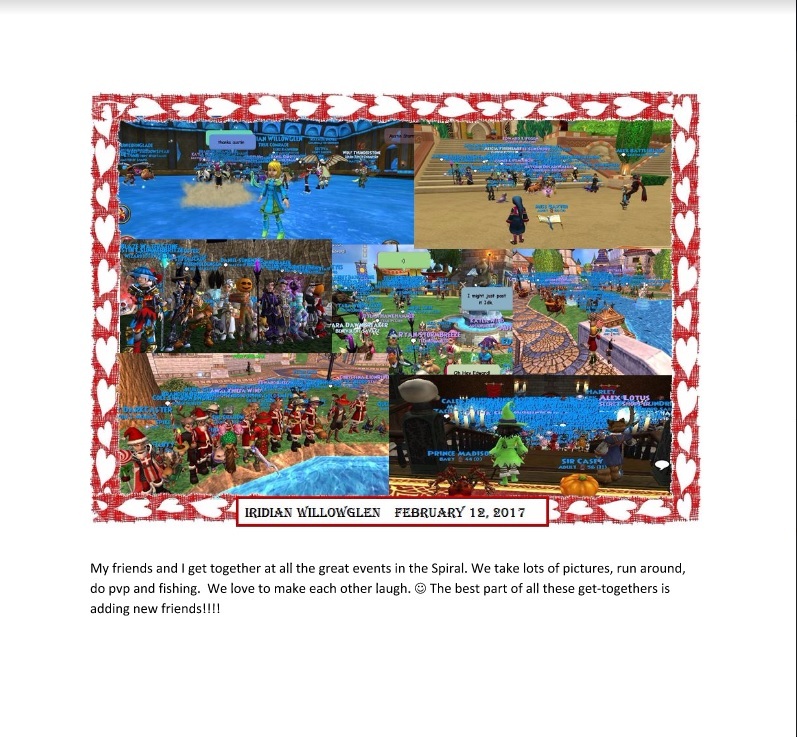 I hope everyone can have as good as friends as I do on Wizard101. 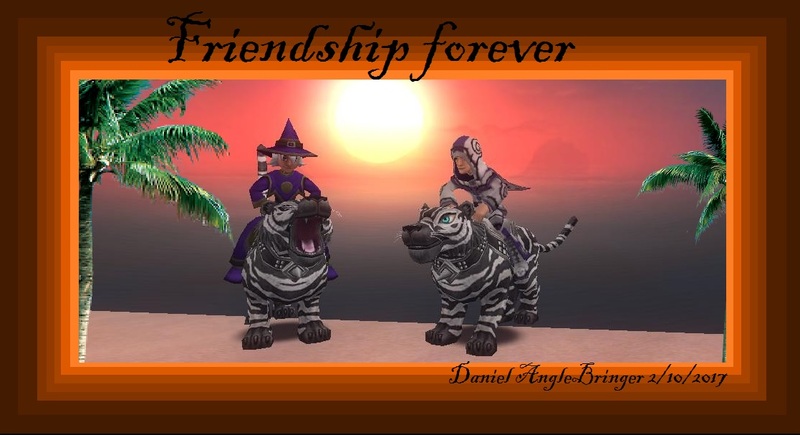 Here is my card its just me and best friend having fun with the new magic items I made my mount tiger grow and this what my friend said "They grow up so fast" I just died laughing hahaha. 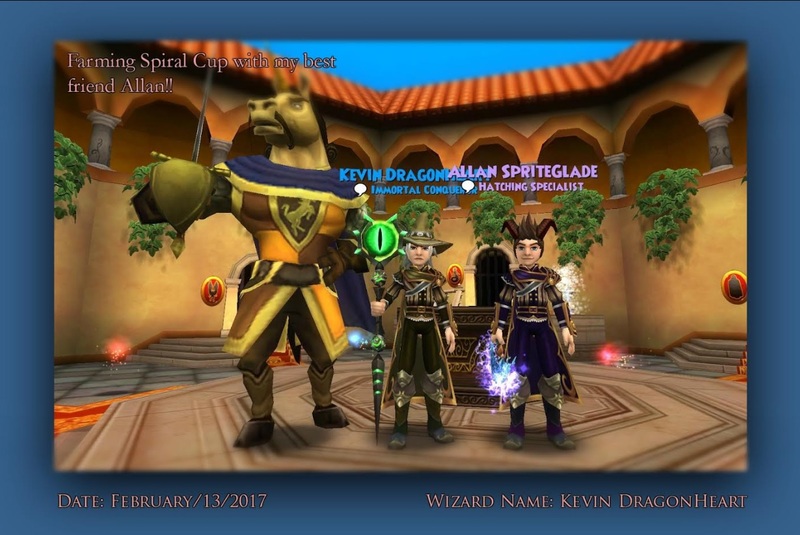 My Friend and i Love to do questing and farming together, In this Picture we were farming Spiral cup for Energy gear. My Friends are very special because they're funny,friendly,mental,nuts,daft,kind and caring. But most of all,they are more special cause they're crazy like me!! 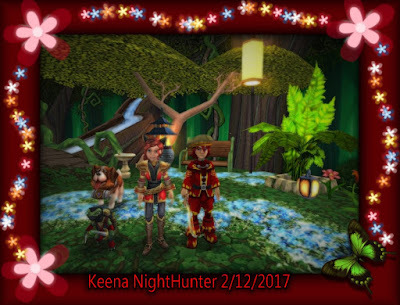 My best friend in Wizard101 also happens to be my best friend in real life. 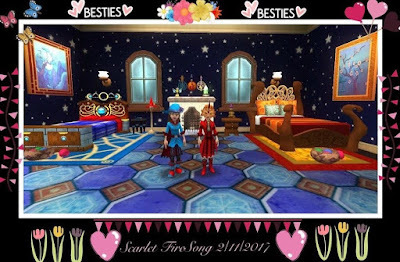 Although she and I love to quest and go fishing together, our favorite thing in the game is decorating our houses. We have a friendly competition going on to see who can decorate their houses best. We spend huge amounts of gold and crowns trying to buy the rarest items because we take pride in our collections. Once, we spent about two hours in the Bazaar, refreshing the list again and again so we can get rare expensive items. But what’s truly rare is not the items we buy, but it’s the friendship that we have. It’s so special when your best friend in real life also likes to plays this game with you and shares your interests. In this photo of us, we are both at my house where I’m standing on the right side by my bed and my friend is standing on the left by her bed. Every time we decorate a house, we always create a bedroom with beds for both of us so we can pretend to have sleepovers. And we always decorate the other’s side of the room the way they like it and with the bed the other wants. Every week, we meet at one of our houses to have a “sleepover” where we put on some of our favorite game music so we dance, talk, and play hide & seek. We also like to pull pranks on each other. One time, I gave her an ugly bunk bed, a very bad looking night stand, a mummy standing right by her bed and put cobwebs and empty cans of food all around her bed. We both burst out laughing when she came to see it. 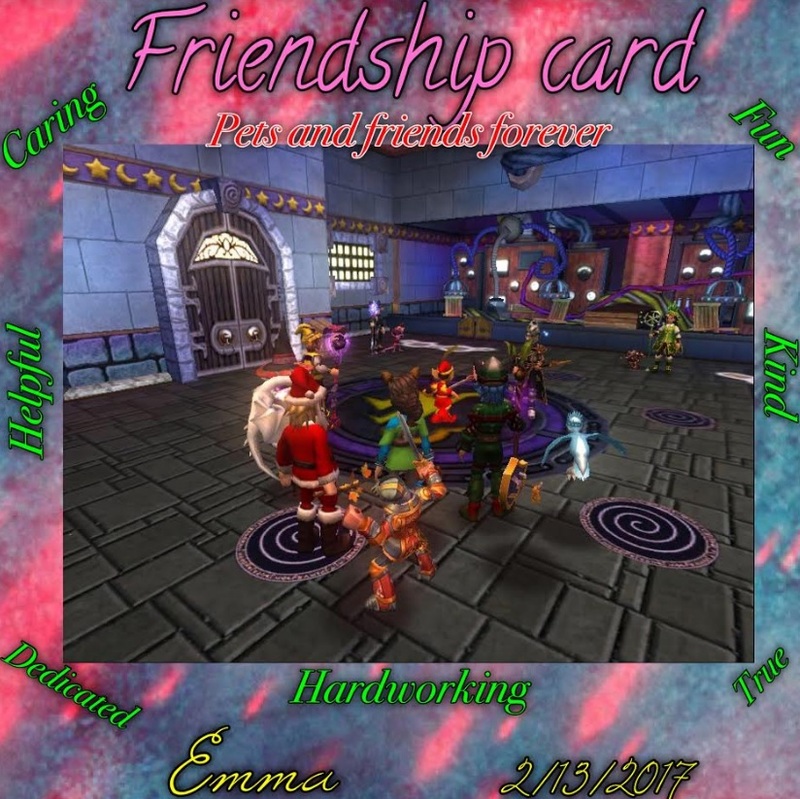 I would like to give Wizard101 a big thank you for bringing me and friend even closer together. 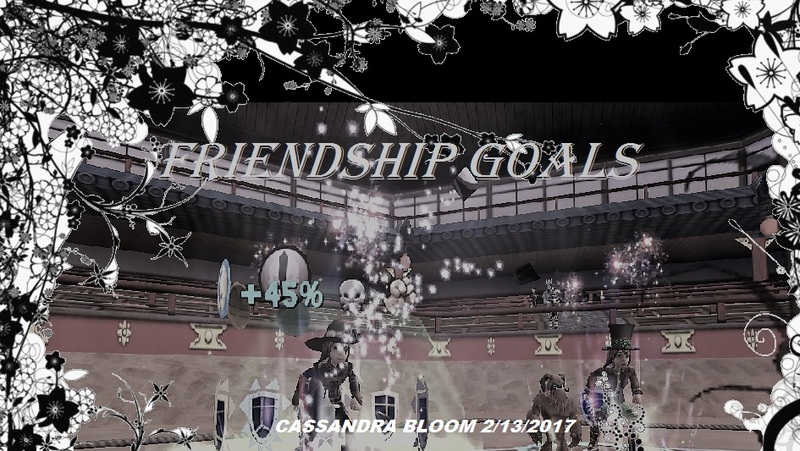 Me and my friend love to play together in the Arena, because we have so much fun while planning our attacks and we help each other a lot! I love to play there with her, wizard 101 is our favorite game! Wizard101 is more fun when you play with a friend. Becca and I met each other 3 months ago. We met in Unicorn Way on our way to kill Lady Blackhope. Since that day on, we have become great friends. The Screen shot below was when Becca brought herself the Majestic Bundle. She was showing me around and I was really impressed. We got so excited that we started dancing. 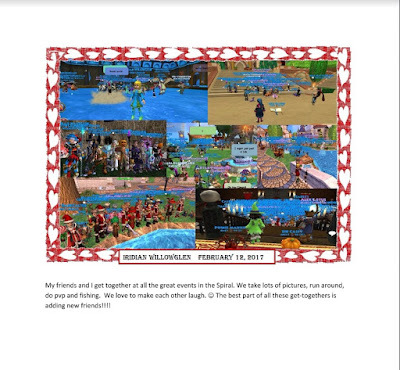 Oh, what a fun day it was! I also spilled my coffee on my keyboard that day, so there's that. 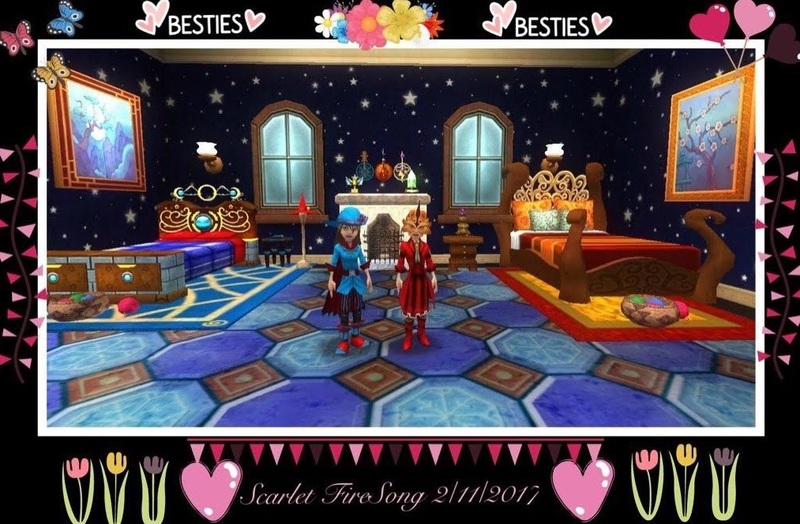 This is me and my best friend in the game! We do a lot thing together. pvp, and, quest. 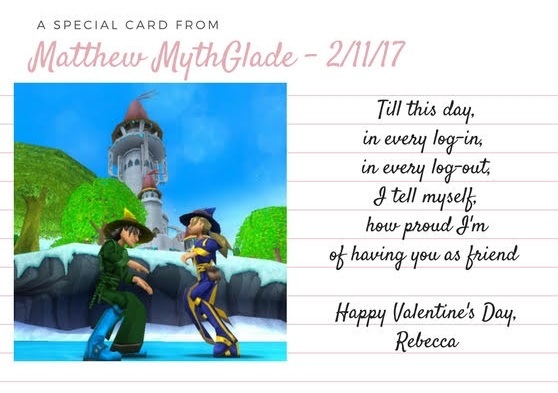 i met him on wizard101 in 2012! We are still together always, he is my best friend so far! Thank you so much Paige! !